On January 31, 2014, the FCC voted unanimously in favor of deactivating the United States of America’s public switched telephone network (PSTN) lines in favor of a nationwide IP-network upgrade. The network operator has resolved to deactivate the increasingly expensive-to-maintain POTS lines once regulation guidelines have been met. According to Gartner Unified Communications 2017 Research, detailed in the image above, cloud telephony adoption is accelerating in North America. Between 2014 and 2017, growth rates were between 2.4% and 3.6% year over year. As broadband infrastructure continues to advance, we can see a sharp increase in the annual growth between 2017 and 2019 to around 5%. Gartner estimates that, by 2021, the adoption rate of VoIP and cloud-based telephony will reach 40.8%. 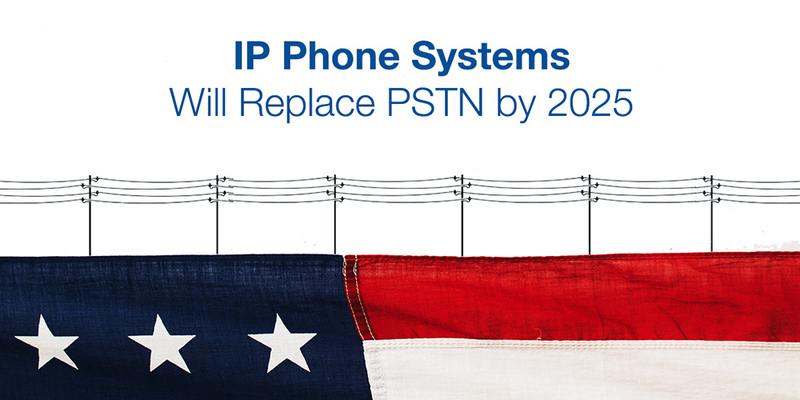 Conservative estimates indicate a majority share will be in favor of hosted communications by 2025, informing AT&T’s decision to migrate to a full IP solution. Growth is the primary motivator for transforming the way we make phone calls. What factors are influencing this accelerated adoption? Telephony has not moved far past cup-and-string technology, only now the lines stretch across the United States of America and are unwieldy and difficult to manage. Network operators’ difficulty in maintaining the lines is paralleled by end-customer businesses who, as they grow, lose oversight of their phone system infrastructure. Billing, services, and account structure (features, extras, lines etc.) have been a consistent source of consternation for business phone managers. Unexpected charges, undetectable active lines that cost a premium, and features that businesses are unaware they’re paying for have all been cited as problems. Cloud-based and Hosted solutions, through a combination of easy-to-use software, universal billing (multi-site), and the new as a service model gives businesses clarity. American broadband has not only gotten faster but is now more readily available in previously underserved areas. American broadband topography is complicated and to obtain internet service in some areas, businesses have had to utilize multiple broadband connections. The rollout of fiber is speeding up and is backed at state level and by private companies such as Google and in some states – like Missouri – electricity companies are contributing. 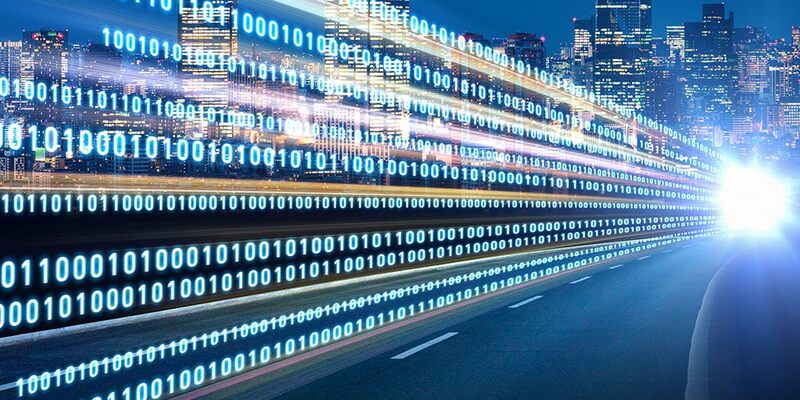 Access to high-speed broadband nationwide is an ambitious project, necessary for the PSTN migration, and significant headway has been made already. According to Speedtest research, average fixed internet speeds have been climbing from 50mbp/s to 70mbp/s. Broadband Now have indicated that fiber coverage sits at 25%, with myriad alternative solutions to fill the space between. The capital expenditure involved in maintaining an on-premise, line-based PBX system will continue to rise. 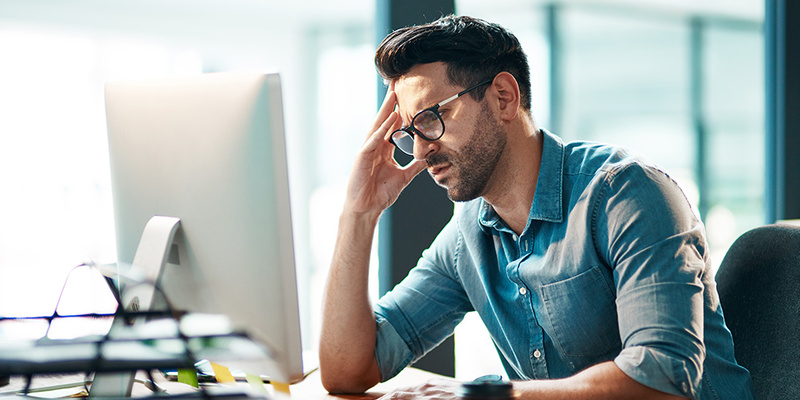 As network operators cease support for line-based equipment, maintaining a PBX business phone system to the ‘bitter’ end may incur significant expense. Cloud-based, VoIP phone systems allow maintenance, upgrades, and service scaling from a virtual environment. Browser-based governance software enables businesses to add, edit, and remove features, lines, and users at a glance. Data center specific companies such as Equinix and technology giant Apple are investing heavily in data centers to accommodate for enterprise cloud offerings. Modern phone system providers have significant real estate in these centers to create a cloud phone environment. VoIP technology was once limited to a bulky InternetPhone from early starters, VocalTec in 1995. At this time, VoIP calls accounted for less-than-1% of total call traffic. By 2003, the introduction of ethernet and slightly-more-familiar handsets resulted in a 20% increase in call traffic for VoIP and market flooding by 2004. In 2018, hardware is specifically roadmapped for VoIP with user-experience in mind. Familiar desk phones, advanced conference phones (without the need to outsource), and extra sought-after features such as video conferencing and screen sharing have also become commonplace. Related: Why Do We Need Desk Phones? Acceptance of the once-slowly emerging technology is helped by mobile applications such as Whatsapp who provides consumer-grade VoIP calling and IM. Users started making mobile VoIP calls without understanding the underlying technology was VoIP. Explaining internet telephony has become significantly easier as a result. New technologies – such as Unified Communications / VoIP – if not responsibly introduced, can alienate underserved or undereducated regions. Partnership between the public and private sector has been vital to understanding consumer needs and barriers to access. The telephone, however, transcends typical technology advancements. Measuring consumer familiarity with the telephone is trivial as it’s a cultural bastion of America. Listed below are some barriers to a full IP-migration. Early objections hinged on feasibility – or the universal access policy (UAP) – which protects consumers who may have little or no access to adequate internet to support IP-voice. Competing telecommunications giant, Verizon, attempted to forgo the UAP in a small region before being stopped by regulation. Voluntary opt-in for IP-trial with concurrent PSTN support. Continued trialing of IP-solution and restricted PSTN support. Rollout and no PSTN support leading to full migration of an area. Early trials indicated mixed results in 2015 – citing issues like emergency services, fax and broadband – but have since delivered on better quality, higher coverage, and more accurate reporting. The barriers to a full-scale migration – mentioned briefly above – go beyond UAP. These wide-ranging issues include medical alert services, alarm system monitoring, point of sale, elevator emergencies, and more. That was in 2015, when AT&T, along with every global IP-operator began working solutions to these issues. Today, many businesses in developed regions have adopted fully IP-based infrastructure, inclusive of all of the vital features listed above. Enhanced broadband infrastructure in the intervening years have solved the reliability issues, allowing companies like Star2Star to offer 99.999% SLAs. 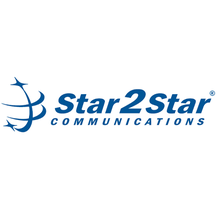 Star2Star helps businesses rollout compliant, reliable services in any region, utilizing the enhancements developed to prepare for the IP-migration. The majority of information offered in this report is a known entity. For additional research and industry statistics, the following sources were used.